Yes, you heard us correctly we mentioned marathon training and treadmill in the same sentence! Okay, give us 5 minutes to explain. 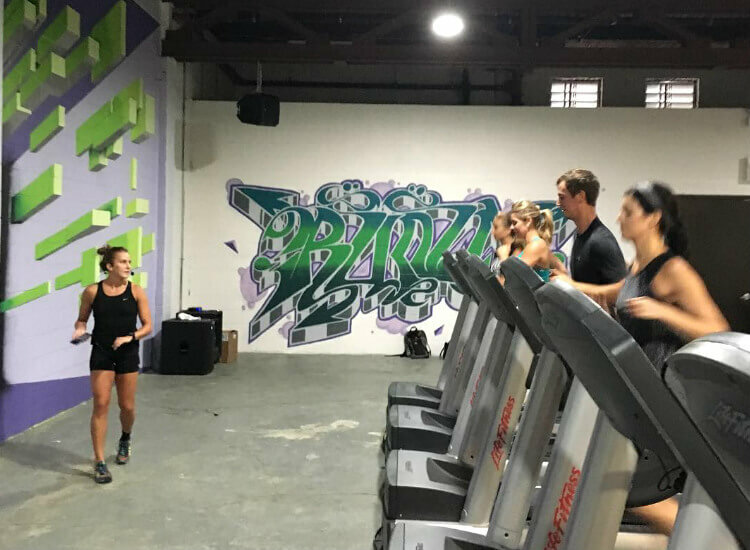 “The boutique fitness industry is exploding in general because people love to challenge themselves in a group setting,” says Keith Kimble, owner of Runn Chicago. There is a wide variety of fitness levels and there are so many people who want to get into running but for various reasons they either don’t start or they lose interest. Treadmill studios and treadmill classes make sure no one gets left behind and best of all they are super fun. If you are still with us, read on – we spoke to a few experts to find out what you should know before setting foot on the mill. 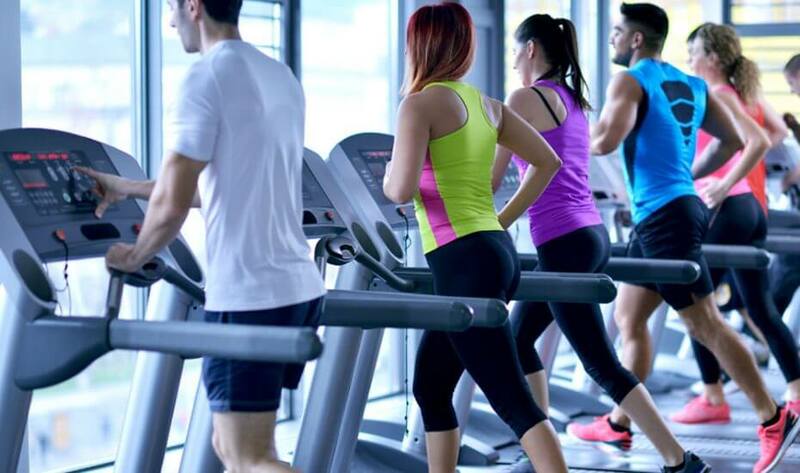 Whether you’re hopping on a treadmill as a “newbie” or an experienced runner, all treadmills are different. So check on the type the studio uses that you are considering. If you want to join, get a quick intro session to the treadmill and you should be all set. Take a walk or slow jog on the treadmill to get used to the surface. Make sure the deck and treadmill belt are comfortable and have enough suspension to avoid injury, but not too much as that will be detrimental to your running style and may cause injury. As a non-runner, if you hear that some classes involve running up to seven miles, you’ll go running for the hills (yes, I said it). The good news is you set your pace, so if you are starting out you can walk it all the way, so you set your own mileage. Even if you are a seasoned runner but find the going tough, there is nothing wrong with a walk break. 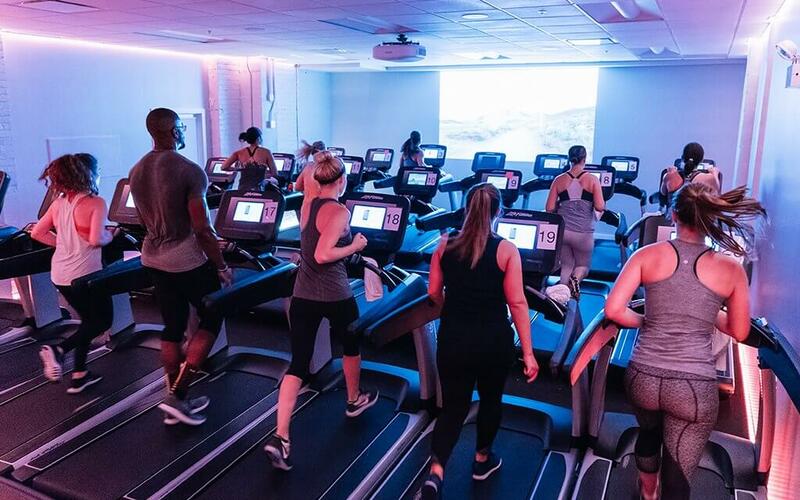 At the tread HAPPY studio, the classes are typically 45 to 60 minutes, segmented into working sessions of 8 to 10 minutes each with walk/run breaks in between. This makes the classes accessible to all. A runner who chooses to run through the recovery breaks will typically get in 5 to 6 miles in 45 minutes or 6 to 7 miles in a 60-minute class. Again it all depends on fitness levels and the goals you want to achieve. A great way to add up the miles for your marathon training. Treadmills are so boring – maybe not? 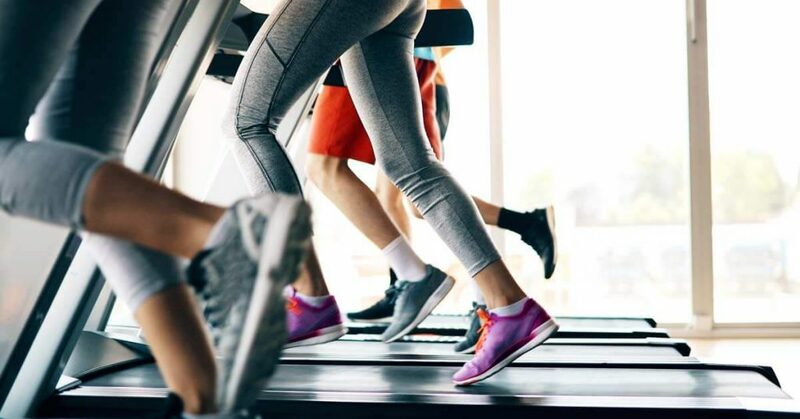 In contrast to just plodding along on a treadmill without many changes, a treadmill class is always changing things up – faster, slower, uphills and back down, which means you will never get bored. Added to this the music is set to inspire you and will bring a smile to most faces. Most studios also throw in other important elements to running like core exercises, foam rolling and stretching to name a few. The studios plan the sessions so no two feel the same. Thanks to treadmill classes the treadmill has been revived from the infamous “dreadmill”. We runners love trivial information – it has been said that treadmills were once used in prisons as a form of labour, the treadmill may seem like a torture device to, those days are long over. Many runners who exclusively run outside are always surprised at how much fun they end up having in a class and also the added value it gives to their running programmes. It is a helpful gateway for those looking to get into the sport of running and at the same time provides a challenging training tool for those with more experience. It adds a whole new dimension for those runners doing marathon training. The treadmill and these treadmill classes do not discriminate and they truly are for all people no matter your experience. If you are concerned then just start off by walking at your pace and over time, just let it come to you. We always suggest checking in with your doctor before attempting any form of exercise. Most starting out in running are always worried about being left behind. With treadmill classes this is not a concern, as you set your own pace and everyone finishes together. The added benefit is that the group dimension makes it so much more fun. Added to this you will meet other runners and trainers who will be able to give you some great advice, turning you into a seasoned runner and who knows, even a marathon runner in no time at all. More on the marathons on offer from us.